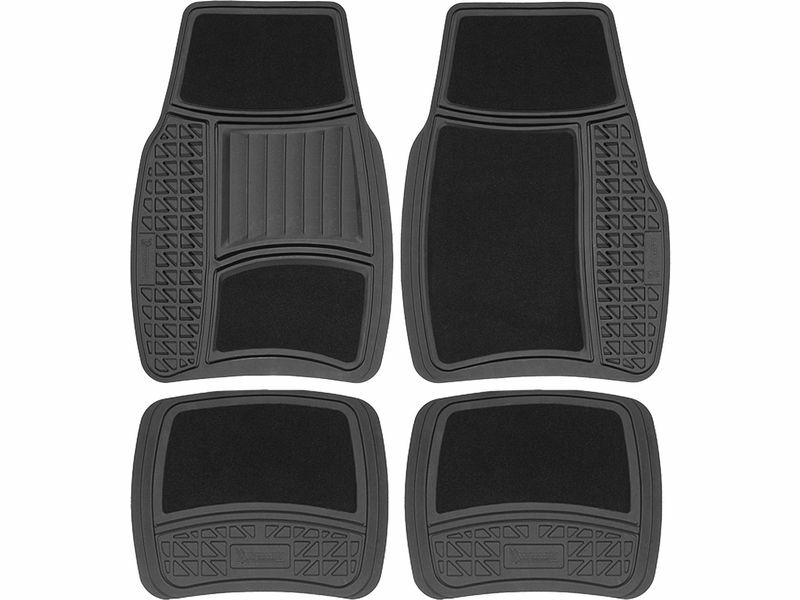 Transform your vehicle with the quality of Michelin Premium floor mats. Combining a heavy-duty rubber and utilizing plush carpet, Michelin created a floor mat that sets itself apart from the competition. By trimming the universal mats you are provided with a much better semi-custom fit. Sold as a four piece set, you can choose the color that best suits your car, trucks, or SUV's interior. Available in black, grey, or tan you really cannot go wrong with the classics. Providing not only style, but also protection each Premium mat has deep ridges that help defend against stains to your factory carpet. Complete with cleat backing, you don't have the worry about the Michelin Premium floor mats slipping around as you drive. Keeping safety, style, quality, and protection in mind, each Michelin mat is backed by a three year warranty. Get yours today! You have have these mats in within seconds! Simply place and be on your way! Give us a call with questions at 877-216-5446.